New York in the winter months can be brutal. Kendra and Phil really wanted to have their engagement session taken on the Brooklyn Bridge and areas around Brooklyn. We got the chance to walk around the city and talk about their wedding plans this September, which I can’t wait for. Here are a few of my favorites from their session in Brooklyn. With so many moving parts that make up a wedding, it can get complicated, but it doesn’t have to be this way. There are ways to declutter the planning process so you can enjoy it and have less stress. Here are seven ways that will simplify planning your wedding and set you up for success. When you’re planning a wedding, it’s going to take time. Very few people can throw together an entire traditional wedding quickly, and you’ll want to allow out-of-town guests enough time to make travel plans that don’t break the bank because they are last minute. You also need to give yourself enough time to plan everything without stressing more than you really need to. After you get engaged, create a timeline that works for your existing schedule. You will likely know if you have any travel plans coming up, work engagements, and other activities that could impact the amount of time you can dedicate to wedding tasks. A timeline simplifies your planning experience because you won’t feel pressured to do everything all at once and have sleepless nights putting together centerpieces. Once you have a timeline that lets you know how long it will realistically take you to plan your wedding, then pick a date. Unless you're deadest on a particular future date, you can make the wedding date you choose to work for you. It's tempting to solidify a date in your mind first, but it can complicate things if you don’t have enough time to plan accordingly. Did you know some venues will coordinate many of the aspects of your wedding for you? It’s like booking a venue and hiring a wedding planner all at once! All-inclusive venues often can include tables, chairs, catering, and accommodations for you and your guests. This means you can cross off the caterer and rental furniture off your to-do list. If you’re planning a destination wedding, you might even be able to combine your wedding and honeymoon planning if you’re staying on site for your honeymoon. You’ll likely get a wedding coordinator that you can work one-on-one with during the planning process. They will help you set the timeline for the big day, and may even confirm any other vendors on your behalf to make sure they know what time to arrive. This way to simplify wedding planning is what can drastically decrease the number of contacts you need to coordinate yourself. 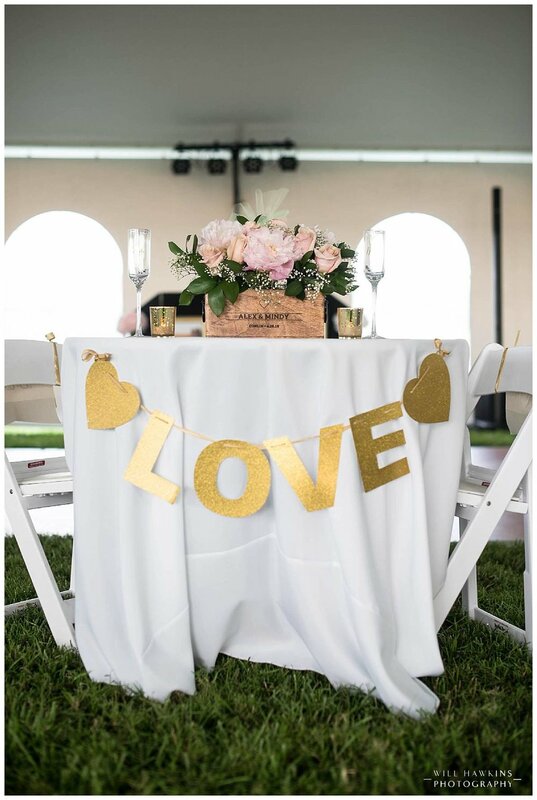 If you downloaded a wedding planning checklist from any site, you might have seen some items that you didn’t think of as part of the planning process and felt overwhelmed to include them. If that’s the case, skip those items. 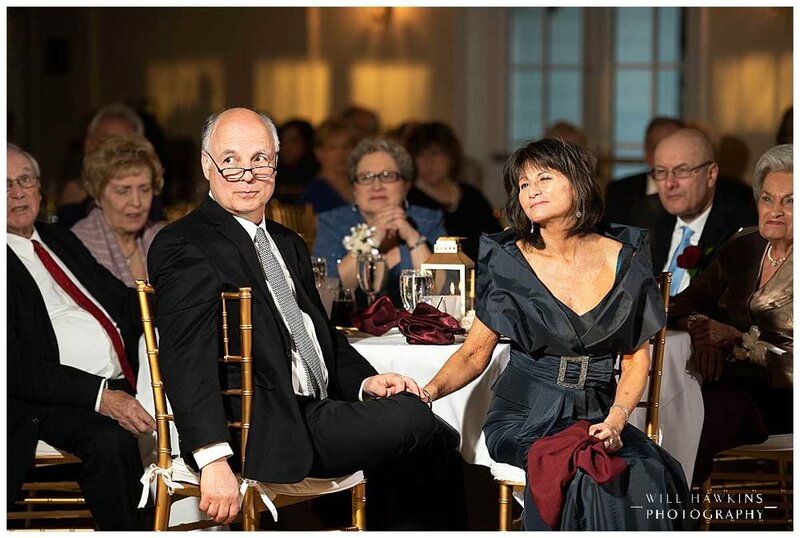 Sure, it might be fun to take dance lessons before your wedding to improve your groove, but it shouldn’t stress you out to include it if your schedule is already packed. This is where your wedding party can shine and really come through for you. If you’re comfortable, assign some tasks to various members of your party. There’s no reason that you need to be the only person researching and doing everything for your wedding. At the very least, they can offer narrow down options for you on Pinterest because they are supposed to be the people who know you best. Bridesmaids and groomsmen are great for helping address invitations, planning bachelor/bachelorette parties, putting together centerpieces, advising on wedding decisions, and possibly picking up some items if it doesn’t impose too much. If someone in your wedding party is tech savvy, they might even help put together your wedding website or design things like place cards, programs, and save the dates. This tip is guaranteed to help with simplifying correspondences when it comes to wedding planning but might seem counterintuitive. Before you start anything, create a dedicated email address specifically for wedding things. This is the email you’ll give to vendors and use to register anything wedding related. Having a separate email account dedicated to wedding planning will help make sure no critical emails get lost. You’ll be able to manage any deadlines from vendors easier and not have to sift through a full inbox to find one email. Everything will be in one place, and you can sync it to your phone, so you have everything on the go. This is your wedding day! You will be inundated with people giving you advice for what they did or what they think you should do, and you do not have to listen to any of them. You are free to make the decisions you want to make your vision become a reality. It is a good idea to limit who you ask for help when it comes to decision making. Your future spouse, bridal party, and parents are good options to use as a sounding board rather than polling everyone you know. So many opinions can become overwhelming, so if you need them, get them from those who matter most to you. Maternity photography can document a time in life that is a once in a lifetime moment. We love to photograph Maternity sessions. Here is a look at a recent maternity session we did in-studio for Alicia. If you look hard enough you can find the most interesting architecture in Downtown Norfolk, the city really makes for some great portraits. This was no different when we photographed Laura and Mike, Laura really wanted some nice scenery in her photos and Norfolk made for the perfect backdrop. Here are a few of our favorites from their session. Recently we had a chance to collaborate with Misty Saves the Day to do a styled shoot for Coastal Virginia Bride. The historic Cavalier in Virginia Beach was the backdrop for this shoot, with a not so formal dress. Here are a few of my favorites as well as the magazine article. First Landing State Park is a beautiful location in Virginia Beach and even prettier in the Fall. Giulliana and Adam choose this location, because of the beautiful tree in the park. We had a fun time at taking their engagement photos and can’t wait for their wedding next November! Until then check out a few of our favorites from their session. It’s something about Fall engagement sessions that make my job a little bit more interesting. I don’t know if it’s the colors or the air, but I love photographing couples in the Fall. I met C’esa and Q in July of this year. When we talked about doing their engagement session C’esa immediately wanted to do fall portraits in Richmond. So we scheduled it and made it happen. 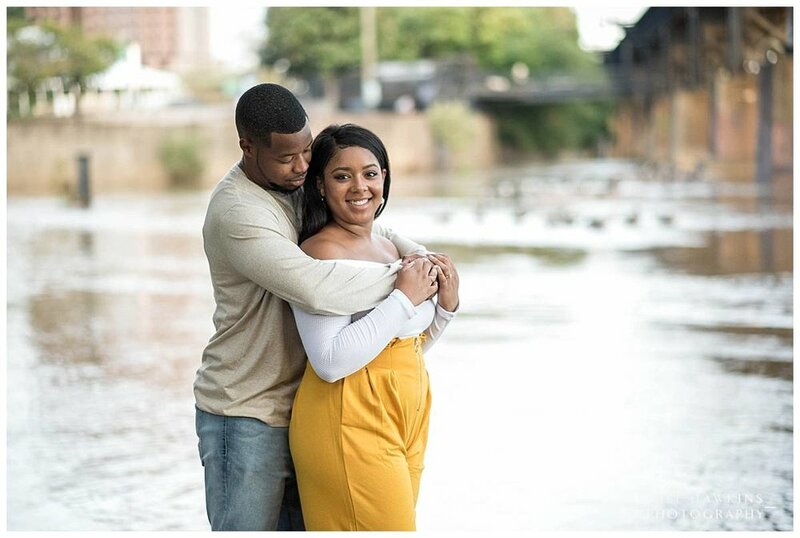 Here are a few of my favorites from their Richmond Engagement Session. Catering | Chef by Design Catering Co.
Jenna and Jay came all the way from New York to do their engagement photos this summer. It was unbearably hot, but we got through it and captured so many amazing images. Here are few of my favorites from their Yorktown Engagement Session. Summer months in Virginia Beach can be brutal, however Joya toughed it out in her beautiful gown the week before her wedding. We got a lot of great portraits, I had to wait a while to share these. Here are a few of my favorites from Mrs. Bowen's session. San Diego is a gorgeous city and California is a even more beautiful state. I had the chance to meet and photograph a special couple at Balboa Park. Sarah and Brandon we're very fun to work with, these are a few of my favorites from their session.